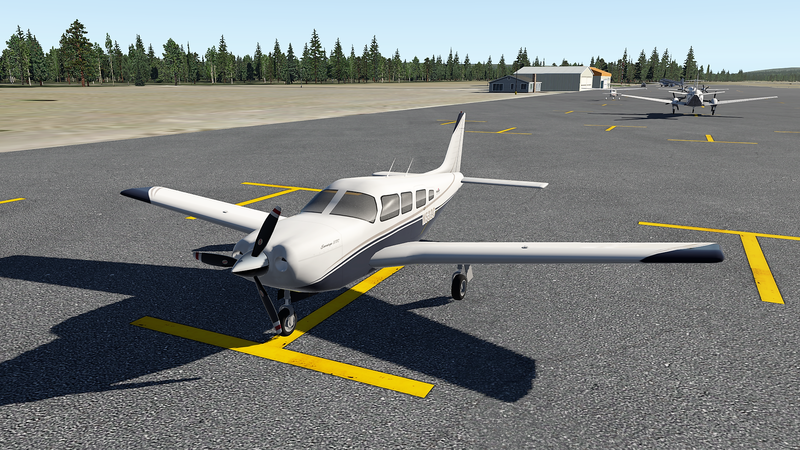 As I noted here, I’ve started flying a Piper Saratoga place-to-place in the sim. The first leg was KSLC to 1U7 Bear Lake Co. 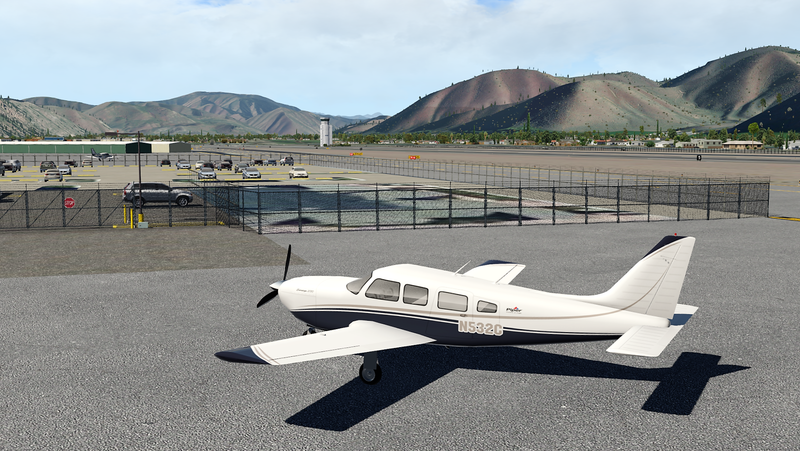 Yesterday I continued the journey with a flight to KWYS Yellowstone (via the Jackson Hole VOR and on PilotEdge), and today went on KSUN Friedman which is the local strip for Sun Valley, ID. My goal is to continue making my way up to Spokane to enjoy the PilotEdge expansion field of KGEG. I’ll see what seems interesting from there. For the Yellowstone leg I built custom scenery for 1U7 and KWYS both, as the in-game and .org offerings were pretty meager. I’ll upload them to the .org in the next day or two and post them here as well so you can have them if you’d like them. I also shot video of the entire 1U7-KWYS flight, and I’ll be uploading it soon as well. Finally, I thought it would be cool to take screen caps of the virtual Saratoga at each stop along the way. I missed KSLC and 1U7, but here are the rest.